The rocket pierced the Iron Dome defense system and hit a dwelling in the agricultural area of ​​Mishmeret. The wounded include a 12-year-old girl, a 3-year-old child and a 6-month child. Netanyahu cuts the visit to the United States. His rival attacks: He has sent national security into "bankruptcy". 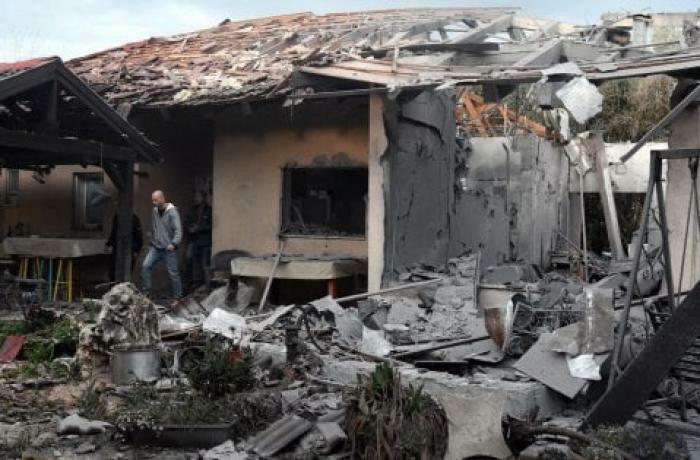 Jerusalem (AsiaNews / Agencies) - A long-range rocket launched from Gaza in the early hours of the morning hit a house on the outskirts of Tel Aviv, injuring at least six people. For the first time since the 2014 war, a missile from the Strip managed to pierce the Israeli "Iron Dome" defense system and hit a target in the country's most important economic and commercial city. 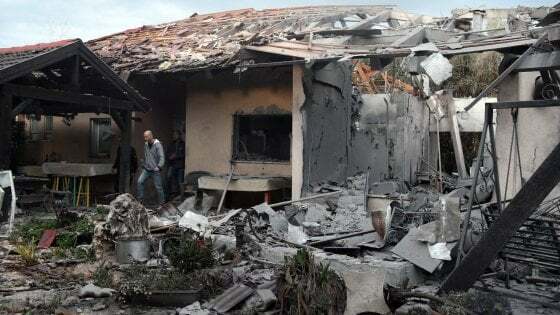 The missile hit a house in Mishmeret, an agricultural area north of Tel Aviv. Health sources confirm the wounding of six people, present inside the house at the time of the attack. They include a 12-year-old girl, a 3-year-old child and a 6-month child. At the moment there are no official claims of the attack. The Israeli leadership blames Hamas, the Palestinian extremist group that controls the Strip. Following the incident, the leader of the movement in Gaza Yahnya Sinwar canceled the press conference scheduled today to retire to a safe place with the other Hamas leaders, pending the Israeli response. On March 14, two rockets launched from Gaza fell near Tel Aviv, without causing any damage or injuries. In response, the Israeli army reacted with a "rain of missiles" on the Strip that hit several Hamas locations. In a context of growing tensions, which erupted on March 30th in conjunction with the beginning of the "March of Return", Israel is approaching the general elections scheduled for April 9th. Outgoing Prime Minister Benjamin Netanyahu is on an official visit to the United States, where today US President Donald Trump will sign the order for recognition of Israel's sovereignty over the Golan Heights. Trump's move follows the previous choices of the Republican administration - a unilateral one in violation of international treaties - to recognize Jerusalem as the capital of Israel and order the transfer of the embassy. Following the attack, Netanyahu decided to shorten his visit to the United States and return home soon after the meeting with the White House tenant. Commenting on the attack, the prime minister spoke of a "criminal" act against Israel "to which we will react with all our strength". "In a few hours I will see Trump - he added - and soon after I will return to Israel to follow the situation closely". Immediate response of the main challenger in the vote, former general Benny Gantz at the head of the center coalition. In a note he accuses the Prime Minister of having sent "national security" into bankruptcy. On the eve of the vote, any action and decision could be decisive in national public opinion.